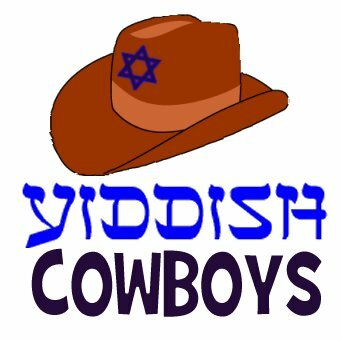 is former leader of the New York klezmer band Mishulem’s Klezmer Band, and was a member of the Honolulu Symphony Orchestra, as Associate Principal and Bass Clarinet and the New York City Opera Touring Company and Lake George Opera Festival, as Principal Clarinet. As a graduate from the prestigious Eastman School of Music, he spent summers playing at Aspen and at Tanglewood as a Berkshire Music Center fellow, and continues to perform regularly with fine chamber music groups. Mr. Drapkin has performed with the New Jersey Symphony, the Rochester Philharmonic, the Portland Symphony, the Long Island Philharmonic, the Brooklyn Philharmonic and with conductors Leonard Bernstein, Seiji Ozawa, Michael Tilson Thomas, Neville Marriner, Leonard Slatkin, Lucas Foss, Christopher Keene, Klaus Tennstedt, Frederick Fennell, and many more celebrated orchestras and maestros. Mr. Drapkin is considered one of the world’s foremost experts on the bass clarinet primarily through his series of orchestral excerpt books, Symphonic Repertoire for the Bass Clarinet, Volumes One, Two, Three, and the upcoming Volume Four which is currently in production. His books have been the gold standard for bass clarinet orchestral study worldwide for the last 25 years, and are now referenced as a source for most bass clarinet orchestra auditions. 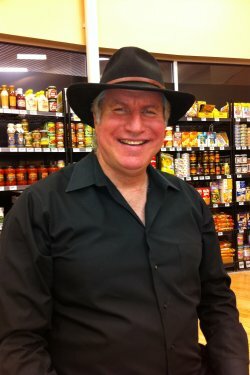 Ben Cohen has been a go-to sideman on the Denver Jewish music scene for over two decades. 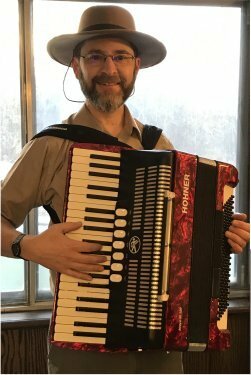 In addition to playing accordion for the Yiddish Cowboys, he plays bass and tuba for Hal Aqua and the Lost Tribe, bass and guitar for Julie Geller, and was the mandolin and banjo player for Rocky Mountain Jewgrass for its celebrated decade in the limelight. 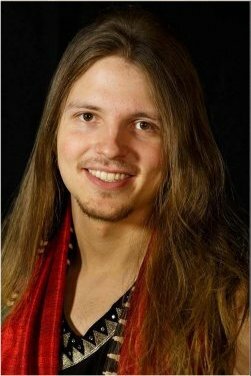 He also plays harpsichord, theorbo and archlute for baroque ensemble Semplice, teaches klezmer fiddle, ukulele and flute at Rocky Mountain Fiddle Camp, and plays piano for local contradances. Mel Bay has published his transcriptions of J.S. Bach violin sonata and partita movements for the electric bass. But he still keeps his day job as an appellate attorney. Kim considers herself a bass chameleon. She regularly performs in a variety of genres, including jazz, rock, pop, classical, and everything that requires low notes. She completed her Master’s in Music at the Lamont School of Music at the University of Denver (DU), where she studied with Ken Walker and Susan Cahill while also teaching improv classes and private bass lessons as a Graduate Assistant. 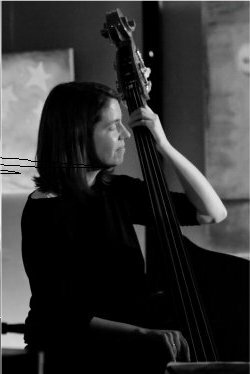 She also holds a degree in Double Bass Performance from the University of Southern Maine, where she studied with Bronek Suchanek and was principal bassist for the Southern Maine Symphony Orchestra. As a freelance musician, she has performed in some of Denver and Maine’s most respected venues, and keeps very busy with some of the area’s top call jazz musicians. Kim has served as a big band clinician at the Colorado All-State Jazz Festival, accompanist for CHSAA Vocal Jazz Choirs, and as an adjudicator for several Maine All-State Music festivals. She also performs regularly with her original quartet, CP-30, and was a member of the award-winning contemporary quintet The Orchid Room and the eclectic original quartet Peregrine. Kim enjoys hiking, skiing, and all the other things people do in Colorado. She also loves greyhounds.